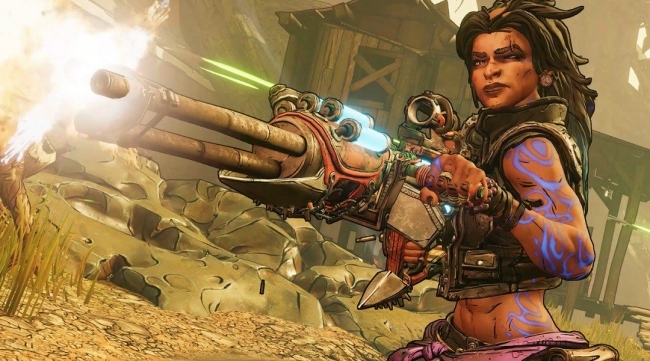 On the heels of a leak, Gearbox has officially unveiled the box art and release date for Borderlands 3. As many have already deduced, the next Borderlands installment will hit the PlayStation 4, PC, and Xbox One on September 13, 2019. Unlike the previous two mainline Borderlands entries, this new box art has quite a lot going on. 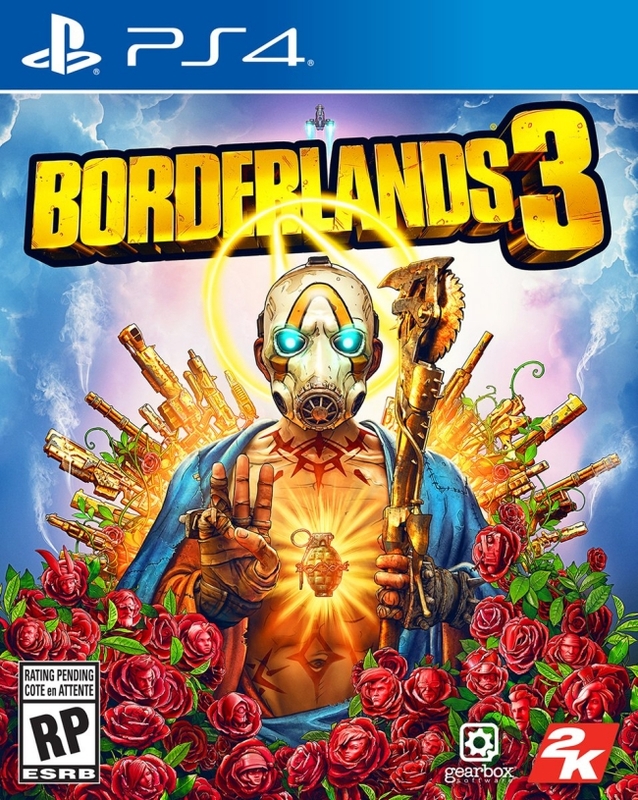 From heavenly halos, myriad guns, and oodles of roses, the Psycho on the Borderlands 3 cover art is surrounded by colorful imagery. Curiously, the finger-gun motif has been sidelined. Maybe there wasn’t a way for it to work with three fingers? This news also confirms the names of new Vault Hunters: Moze, Flak, Amara, and Zane. Gearbox is likely to unveil more about each character’s various skills and abilities during the gameplay reveal event, which has been set for May 1st. In addition, the new trailer offered another look at the villains, the Calypso Twins. Reportedly, preorders are now live on the official Borderlands website, which will grant players access to the Gold Weapons Skin Pack. However, details about the previously leaked Deluxe Edition, Super Deluxe Edition, and Diamond Loot Chest Collector’s Edition have yet to be confirmed by the studio. According to a tweet from Wario64, the Collector’s Edition will feature a cloth map, steelbook case, diamond loot chest replica, and much more.